Flashing party gloves. Great for any occasion (party, birthday, promotional activities). You can buy online for a special price. 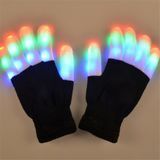 Shining party gloves - these special flashing gloves are suitable for party, disco, festivals and other events. Of course, they are also suitable as an original gift. 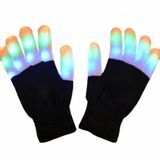 If you like to be the central point of attention, or you just want to get the interest of others and be cool, these flashing gloves are just for you. 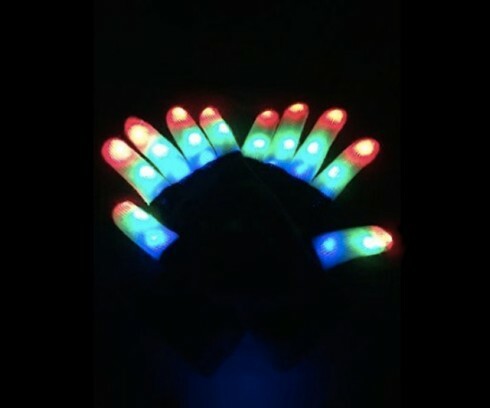 Glove on each finger has three colors: red, blue and green. Lighting modes you can change of course as you wish. You can choose from six modes. Gloves have universal size (except of very large hands). They are made of cotton and elastic material, for you to feel as comfortable as possible. Note: Due to the electronic components in gloves, they cannot be washed. Not suitable for children under 10 years.